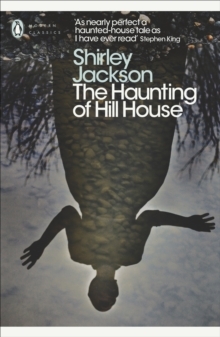 THE INSPIRATION FOR THE NEW NETFLIX SERIES DEBUTING THIS HALLOWE'ENThe best-known of Shirley Jackson's novels and a major inspiration for writers like Neil Gaiman and Stephen King, The Haunting of Hill House is a chilling story of the power of fear. 'Shirley Jackson's stories are among the most terrifying ever written' Donna Tartt, author of The Goldfinch and The Secret HistoryFour seekers have arrived at the rambling old pile known as Hill House: Dr. Montague, an occult scholar looking for solid evidence of psychic phenomena; Theodora, his lovely assistant; Luke, the future inheritor of the estate; and Eleanor, a friendless, fragile young woman with a dark past. As they begin to cope with horrifying occurrences beyond their control or understanding, they cannot possibly know what lies ahead. For Hill House is gathering its powers - and soon it will choose one of them to make its own. Twice filmed as The Haunting, and the inspiration for a new 10-part Netflix series, The Haunting of Hill House is a powerful work of slow-burning psychological horror. Shirley Jackson was born in California in 1916. When her short story The Lottery was first published in the New Yorker in 1948, readers were so horrified they sent her hate mail; it has since become one of the most iconic American stories of all time. Her first novel, The Road Through the Wall, was published in the same year and was followed by five more: Hangsaman, The Bird's Nest, The Sundial, The Haunting of Hill House and We Have Always Lived in the Castle, widely seen as her masterpiece. Shirley Jackson died in her sleep at the age of 48. If you enjoyed The Haunting of Hill House, you might like Jackson's We Have Always Lived in the Castle, also available in Penguin Modern Classics. 'An amazing writer ... If you haven't read her you have missed out on something marvellous' Neil Gaiman 'As nearly perfect a haunted-house tale as I have ever read' Stephen King'The world of Shirley Jackson is eerie and unforgettable' A.